Through statements in plenary, organising a side event, meeting with delegates and collaborating with other civil society actors, Education International has reaffirmed the importance of advancing on international copyright exceptions at the Standing Committee on Copyright and Related Rights of the World Intellectual Property Organisation. The Standing Committee on Copyright and Related Rights (SCCR) of the World Intellectual Property Organisation (WIPO) approved an action plan for education, research, persons with disabilities, museums, libraries and archives, during its 36th meeting held in Geneva, Switzerland, from 28 May-1st June. 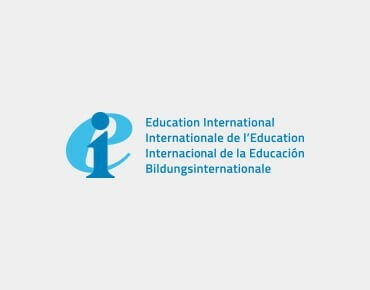 Education International (EI) argued that copyright exceptions and limitations are essential for achieving the right to quality education and raised concerns regarding what had happened with the draft broadcast treaty, where exceptions were sidelined in the negotiations. With the Indonesian Delegation to WIPO, EI co-sponsored a lunch time side event. Moderated by Erry Prasetyo from the Indonesian Permanent Mission in Geneva, it showcased research and other practical examples of how copyright policies impact the work of education institutions and why copyright reform is needed at national and international to achieve the sustainable development goals. The President of the Indonesian teachers’ union PGRI, Unifah Rosyidi, stressed that for “a developing country, access to quality and affordable teaching and learning materials plays a pivotal role in increasing quality education”. She shared her union’s work on advancing open educational resources through the PGRI Smart Learning Centre, and argued that “it is important to recognise education as a human right and to advance the work at the SCCR on exceptions to facilitate cross-border use of materials and reduce the risk of copyright infringement”. Teresa Nobre of COMMUNIA (a network of intellectual property lawyers and advocates) presented her research on licenses in Europe showing how license agreements for accessing and using digital works for teaching and learning in Finland, France and the UK often restrict the scope of education exceptions, grant questionable rights to rights holders and impose burdensome obligations on schools. She went on to stress that “copyright exceptions need to be protected from override by contract terms and education institutions need mechanisms to challenge unfair contracts”. This is currently a major debate in the EU, which is about to adopt a Directive on Copyright in the Digital Single Market, which would allow licenses to replace education exceptions. On the creators’ side, Brianna Schofield from the Author’s Alliance noted in her presentation that authors also benefit from exceptions and limitations for education and research purposes which “can promote authors' goals of advancing knowledge, help them to build reputational capital, and increase the impact of their works”. She made the case for a balanced approach to copyright, as it would be beneficial for all, and shared findings from a survey of authors of works in the Georgia State University (GSU) case where publishers sued GSU for copyright infringement. Education International strongly believes that the SCCR can and should contribute to establishing this “fair ecosystem” by advancing the development of an international framework on copyright exceptions and limitations. The meeting also discussed a draft treaty on broadcasting which seeks to address the concerns of broadcasters concerning the piracy of broadcast signals. In an open letter, Civil Society criticised the draft treaty for a number issues such as the suggested 50-year term of protection and post fixation that would go far beyond the term of copyright. While new exclusive rights for broadcasters are created, user rights are not adequately addressed. Nikola Wachter of EI shared this concern in plenary, insisting that teachers and researchers need to be able to make fair use of broadcasted content for teaching: “A new treaty needs to adequately address exceptions and limitations for education and research purposes.The current draft text is not balanced in this regard and bears the danger of significantly undermining user rights”. · Hold a SCCR side event related to the subject of persons with other disabilities that are not covered in the Marrakech Treaty. Education International welcomed the Action Plan and underlined that it will be important to involve education stakeholders in the meetings as well as to work towards a normative agenda for education. In addition, the study on digital issues should not be limited to investigating the availability of MOOCs or distance learning, but address how copyright legislation might affect fair use of digital works as well as online collaboration in education more broadly.